You probably are already aware, but we uses Kleen Strip Xelene to clean up Vulkem work. Man up Rich — holes in the Airstream are great! Especially when you don’t run the drill bits through wiring bundles on your way through. 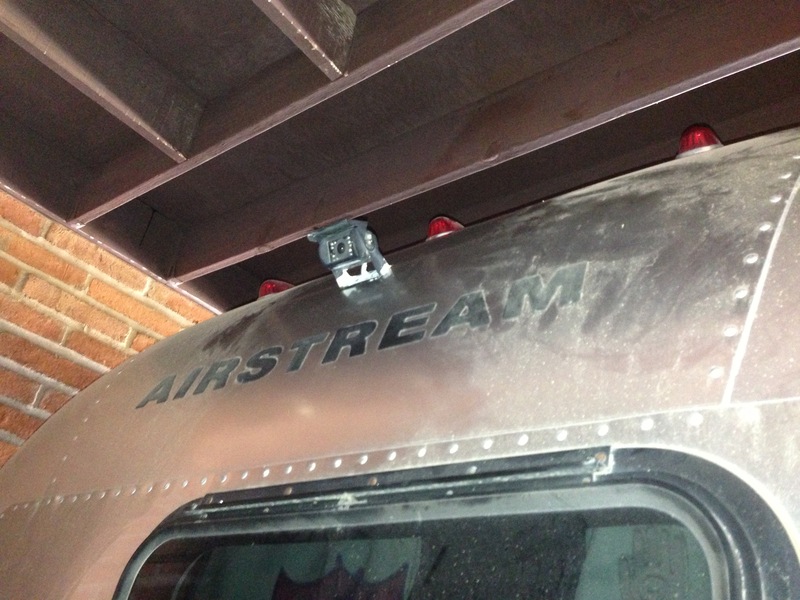 Love your back-up camera location, makes sense for the best view angle. How do you connect the camera to the driver’s compartment? I ran the line down through the rear bedroom into the rear storage compartment. From there it goes into the bellypan, and rearward out a factory hole in the rear frame member to the bumper compartment. 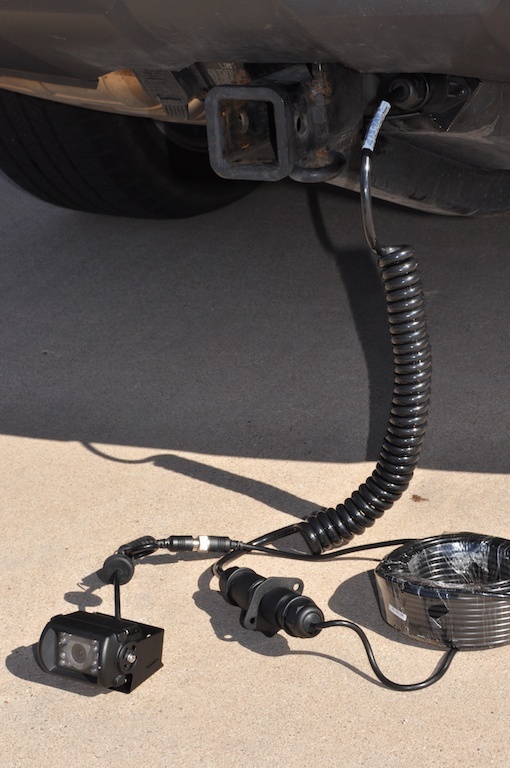 It runs through the bottom of the bumper compartment and then is strapped to the underside of the belly pan every few feet all the way forward to the hitch area. Use rubber grommets on every hole to prevent chafing and wire loom to help protect the wires wherever they are exposed. Most importantly, no splices in the exposed area, or at least make sure they are waterproof! A special “mod” from Mid-City Engineering in Chicago makes the whole thing talk to the built-in screen in the Mercedes dash. That was the really expensive part … but it was worth it to me to avoid having a second video display in the cockpit.